It was good. No better than that. Kind of imagine this is the type of book for guys standing around the barbecue holding a beer telling their war stories. Lots of shooting at lizard-like aliens. A lot. Gets a bit repetitive. Some of the main characters remind me of red neck soldiers in Starship Troopers and Avatar. Obviously some people love this book going by the reviews. Nothing terrible about it but I prefer something with a little more substance. I appreciate that this book ends and so I don't feel obliged to read the next one in the series unless I want to. I don't always appreciate the way Mark Boyett characterises women's voices but other than that his laconic tone makes for easy listening. 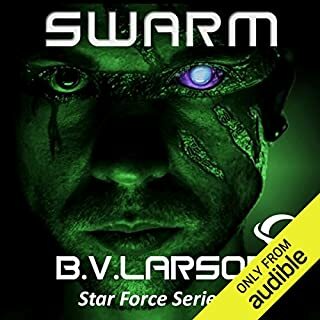 really good story by BV Larson that made me think of starship troopers. interesting play on concepts like Empire, and death. Great read/listen! Good story, good narrator. 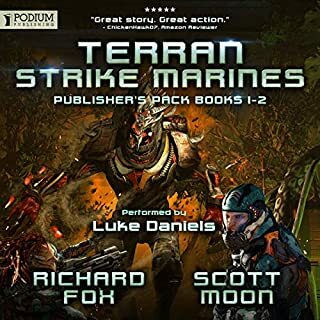 Some action, some sci-fi and a pinch of humour. 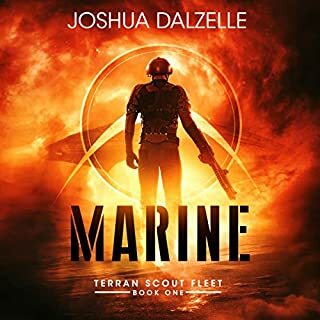 This book manages to set up interesting scenarios and slowly introduces a number of important topics to set the narrative. I really enjoyed exploring this side but the battles scenes were also fairly intense and the way the story is told gives a very clear picture of what's going on. I am looking forward to the next few books. Would absolutely recommend. 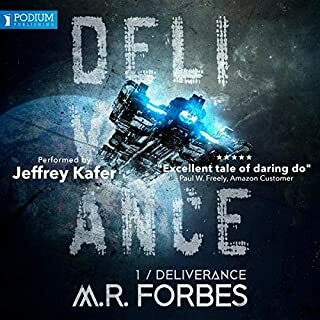 Excellent narration and an intriguing story. Great start to the series and will have you sitting in the car or transport ship wanting to hear more! Take half a bowl of Starship Troopers, mix in some dinosaur, a pinch of galactic imperialism and throw in an infinite revival machine for some added crunch and violence and you have Steel World. The concepts and story line in this book had me in from the get go. 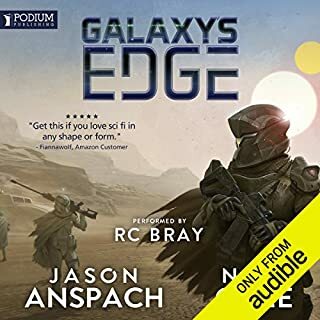 This is one of the first books from Audible after The Martian that I could not wait to fire up and listen to each day. Can not wait for the next story in the series. A well thought out Adventure. I really enjoyed this creative version of a futuristic world. The imagination of this author is quite amazing and the performance was brilliant. 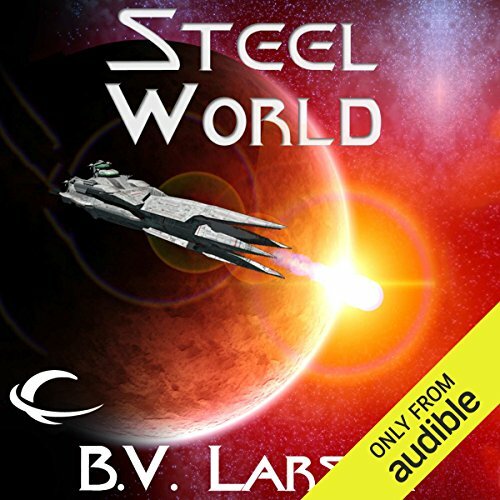 Where does Steel World rank among all the audiobooks you’ve listened to so far? I like a series to enjoy the immersive continuity. This seems quite light in tone though isn't the worst first in a series effort I've read. Some pleasant steps off the story to highlight or detail some tech or history with characterisation nicely done but perhaps with a little more depth. At around 10-11 hrs its quite a bit shorter than my usual read which kept the pace up, the rambling at minimum and overall a good bit of escape. What other book might you compare Steel World to, and why? It had a feeling of a comic book with more depth. An unusual plot premise that did take me by surprise. 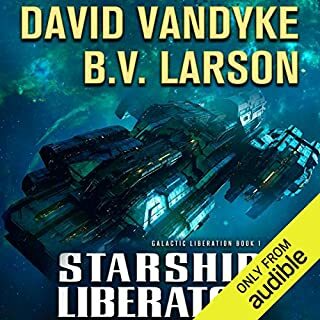 Light easy listening science fiction. 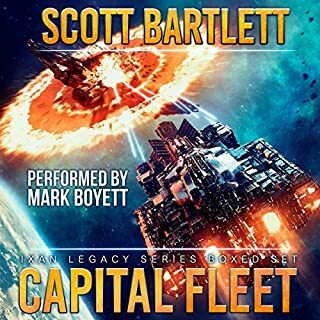 What does Mark Boyett bring to the story that you wouldn’t experience if you had only read the book? Mark Boyett has a pleasing repertoire of voice and gave the characters a warmth that wasn't quite as evident in the writing. It's an odd one. The story is basic and has a few possible plot holes, but it works. The tale is just from one man from a personal perspective, which could make it one directional, but again it works. A certain amount of my liking of this book is the reading of it. Mark Boyett reds it like it's a series of war diaries, making it feel partly like it's a documentary on past events rather than a story in the future. I think with out this I may well have been disappointed. I'm looking forwards to the second book, just hoping the story does not lose it's way as I can see limitations in where this tale can go. 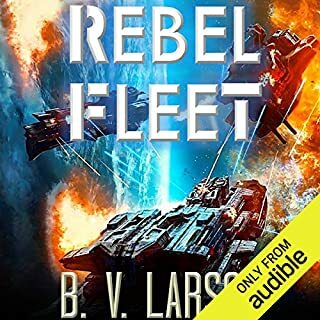 I've listened to all 8 Star Force books (waiting for no9, the last in that series). That was an excellent series but this is even better. Plenty of action and a fast pace with some interesting tech, moving in a new direction from the Star Force universe. Mark Boyett delivers another fantastic performance. Some of the characters sound very similar to those in the Star Force series though but I didn't find that to be an issue. I found this audiobook to be quite uninteresting. 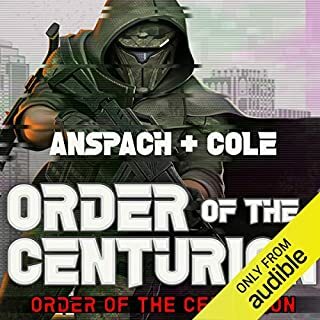 The protagonist, James McGill (no Saul Goodman has not changed careers to space mercenary) is a 22 year old college student who signs up with a mercenary outfit to make ends meet. Unfortunately, as he is written, he only stands out because the other characters seem to have lost ten IQ points. This makes him an ideal mercenary/spacer becasue everyone else is a bit slow or unreasonable. The story is, in some ways, similar to Starship Troopers, (even to the drop capsules) which is to be expected given it is miltary SF. But whereas Juan Rico screws up and has a lot to learn, McGill is the opposite. There is no sense of wonder at the alien race and their star carrier. McGill doesn't even seem phased by heading to the stars in a three mile long spaceship. All in all, I am sorry I wasted a credit on this. Pretty awful. So many preposterous plot elements, it just didn't seem believable or realistic. 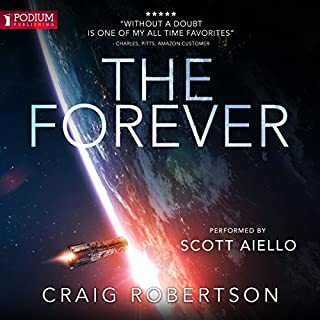 Whilst it was vaguely listenable in the background, there is so much good sci-fi out there I won't be continuing with the series. A juvenile novel without the charm of one of Robert Heinlein's. No need to rewind if you fall asleep before your timer stops it. 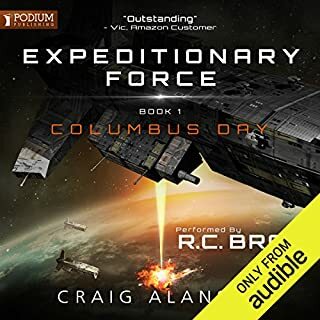 Average Military sci-fi nothing major to report! Listened to this book all the way through so that's why it get 3 stars. I wouldn't call it awful, but it is far from great. Just like lukewarm water. The single POV makes it feel monotone and doesn't give that different perspective character you enjoy when reading a good book. It's a bit like a "live, die, repeat" T-shirt which has seen one to many wash cycle.... gray and faded out. 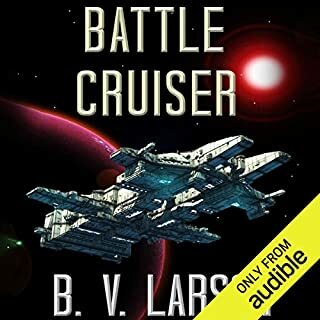 while the language used is mundane the story is interesting enough and some fascinating science fiction backing the plot up. worth a listen.